BEST FIGHTER FOR CANADA: The "Grandfather's Axe" and fighter design. The "Grandfather's Axe" and fighter design. A comment on my last post got me thinking... "Just what constitutes an 'all new' aircraft design?" When it comes down to it, an aircraft's purpose dictates its shape. 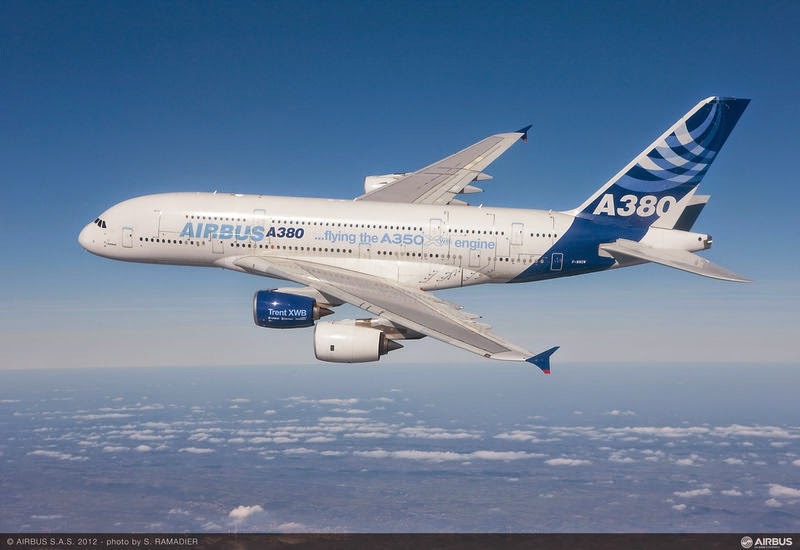 Passenger airliners are all designed with efficiency in mind. This leads to the almost identical shape of a long tube for carrying passengers in pressurized comfort, swept wings to provide a quick cruising speed, and engines mounted in nacelles for easy maintenance. 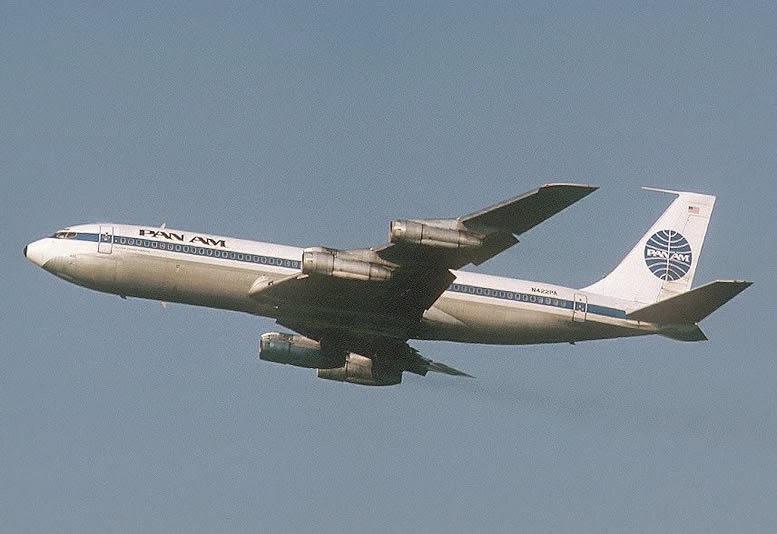 This general shape originated on the first really successful airliner, the Boeing 707, first flown almost 60 years ago. While over 50 years of development has brought us new construction techniques, new engine technology, and new materials, modern airliners still resemble the classic 707. 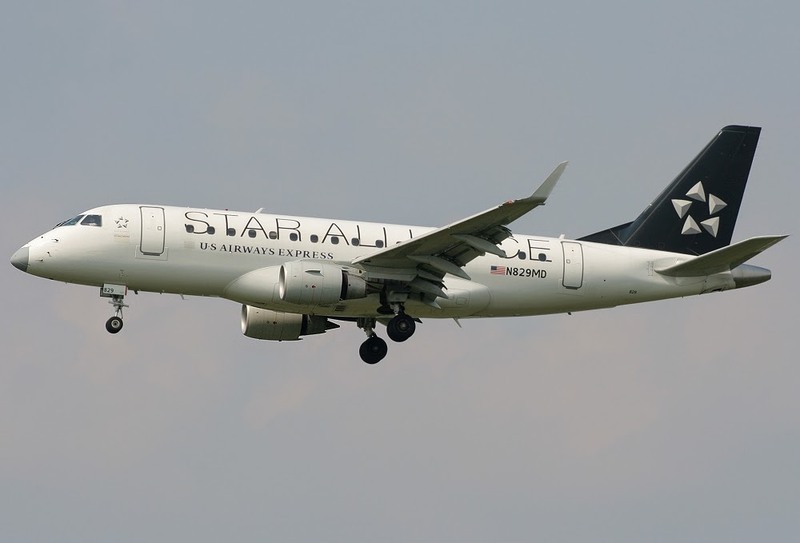 They might be of a different size, with fewer engines, but the layout is still pretty much the same, whether it's a massive 583-passenger Airbus A380 or a 50-passenger Embraer E170. Unlike single-purpose airliners, military aircraft are purposed with varied missions, and cost efficiency is not usually the defining characteristic. This leads to a myriad of different shapes, sizes, and configurations. While a Boeing 737 from an Airbus A320 may be hard to tell apart at a distance, it's quite easy to differentiate an A-10 Thunderbolt II and a SR-71 Blackbird. Also, military aircraft tend to evolve over time as new technology and new tactics drive design. Sometimes, the end result looks nothing like the original. In 1953, Northrop embarked on a study to build a light, low-cost jet fighter. It's first effort, the N-102 "Fang" was certainly looked the part, but engineers quickly admitted that the addition of an additional turbojet engine would greatly improve the aircraft's reliability and safety. This led to a major redesign that led to the N-156, aka: the Northrop YF-5A. Head of the YF-5A's design team was Edgar Schmued, the man responsible for legendary fighters like the P-51 Mustang and the F-86 Sabre. Schmued believed that taking advantage of high thrust-to-weight engines and combining them with a light, compact airframe could reverse the trend of jet fighters becoming heavier and more expensive. 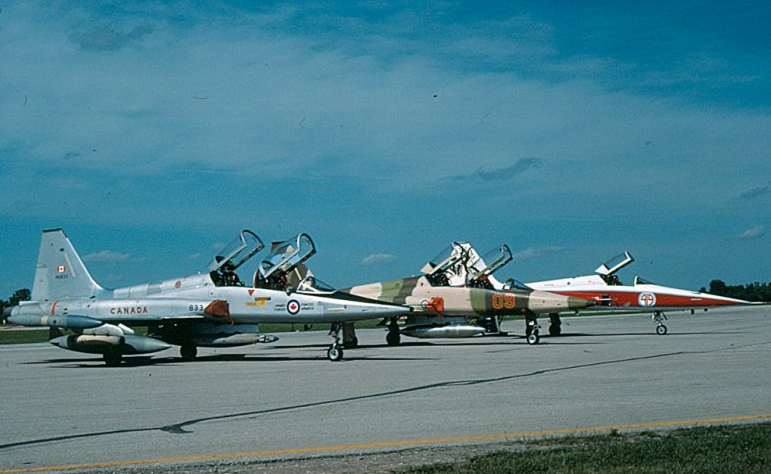 While the U.S. military had little interest in the YF-5 as a fighter, they were in the market to replace the venerable T-33 Shooting Star trainer. 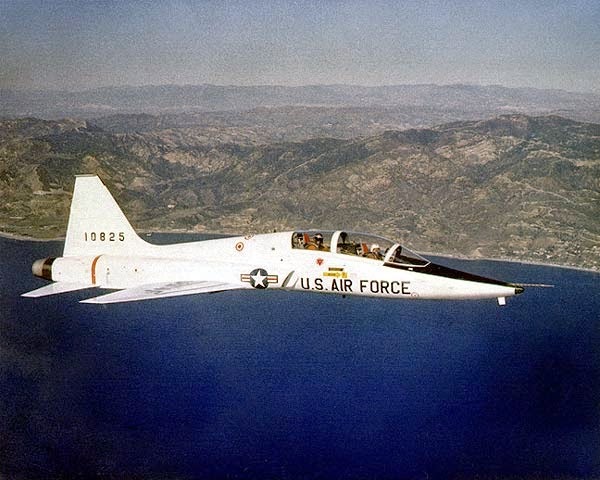 This led to the quick development of the two-seat T-38 Talon. Northrop continued to slowly develop the N-156 as a proper fighter, however, and in 1962 it was revived as a low-cost export fighter that could sold to friendly nations with less-than-stellar military budgets. Designated the F-5A and F-5B (for the two seat version), over 800 of these "Freedom Fighters" were built. This included 240 built by Canadair and 70 built by Spain's CASA. The F-5 would continue to evolve, becoming the F-5E "Tiger II". This version sported more powerful engines, a lengthened fuselage, and more sophisticated avionics with radar. 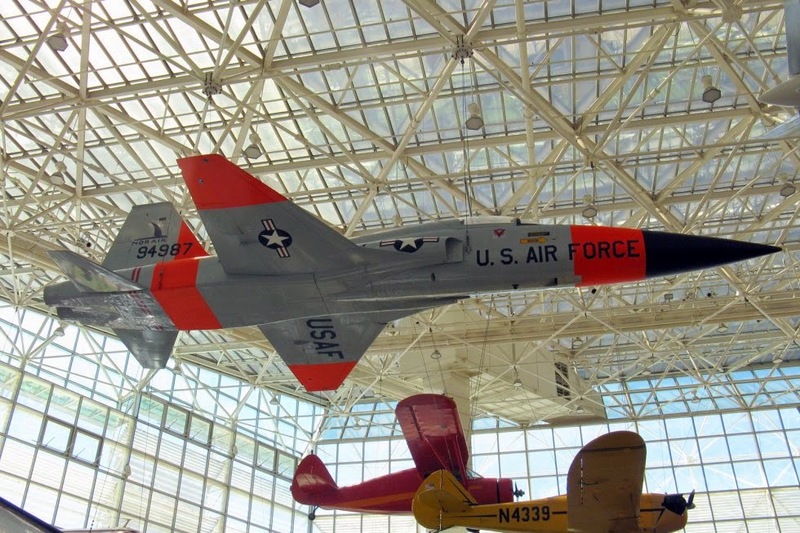 Both the T-38 and F-5 are still being used to this day. Not quite as successful was Northrop's attempt to modernize the F-5 even further by replacing its two turbojets with a more modern GE404 turbofan (the same engine used on the F/A-18). This new aircraft, the F-5G, was considered different enough to warrant a new name and designation, the F-20 Tigershark. Like the F-5 before it, the F-20 was intended to be an affordable, export-friendly fighter intended for nations friendly to the U.S. The F-20 showed amazing potential. No less than the legendary Chuck Yeager praised its performance. 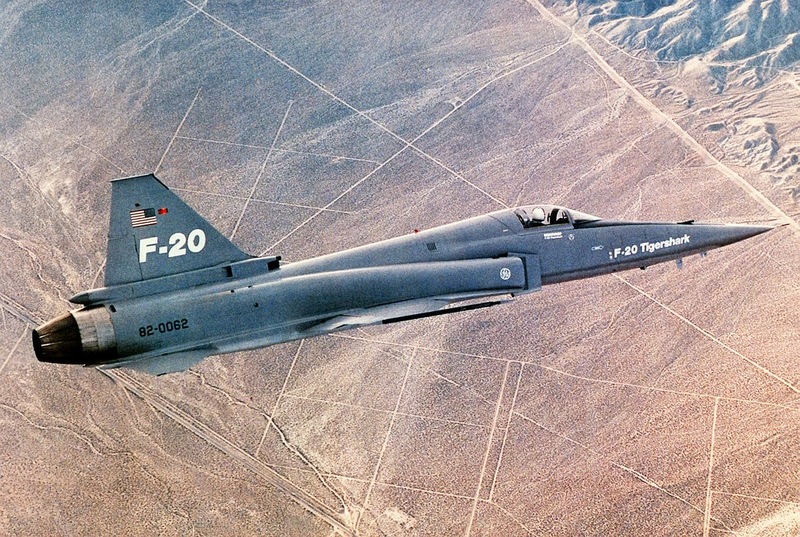 The F-20 even offered BVR capability, something the F-16A lacked at the time. Two events conspired against the Tigershark, however: First, the F-16 would be upgraded to allow full BVR capability with the F-16C. Second, the newly appointed Reagan administration relaxed export restrictions, allowing the more expensive F-16 to be sold. This had the additional benefit of lowering the overall costs of the F-16 for the USAF, as economies of scale turned the F-16 into the ultimate fighter bargain. The F-5's lineage doesn't end there however. 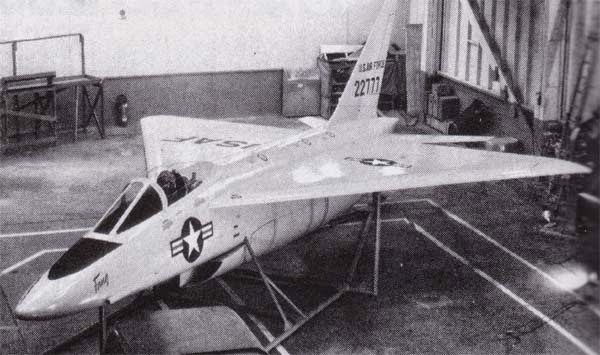 Although it may not look it, Northrop's entry into the Lightweight Fighter (LWF) competition, the YF-17 Cobra was actually derived from the Northrop N-156. This was done by raising the wing (to assist weapon storage), upgrading the engines to more modern turbofans, twin tails, and adding leading edge extensions (LERX) running from the cockpit to the wing. While the YF-17 was unsuccessful in beating out the YF-16 in the LWF competition, its twin-engined design was enough to earn the interest of the USN. 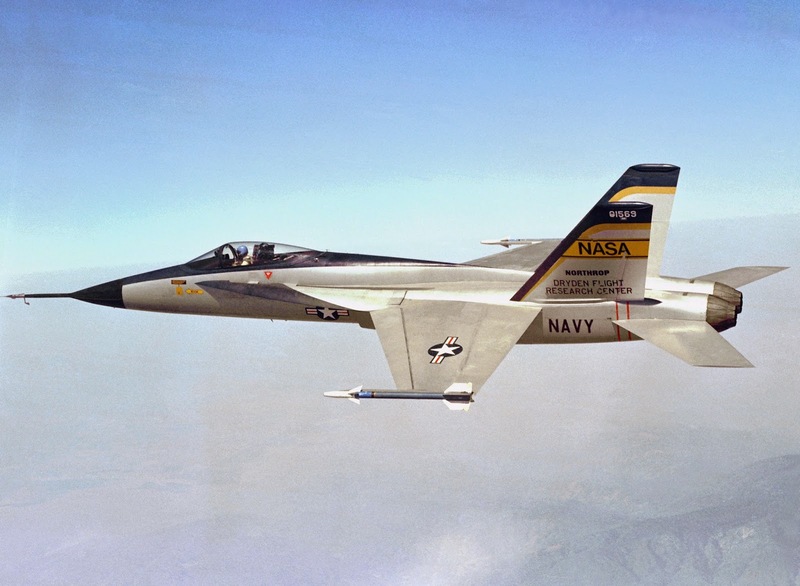 With little experience developing naval aircraft, Northrop teamed up with McDonnell Douglas to develop the YF-17 into the multirole F/A-18 Hornet. 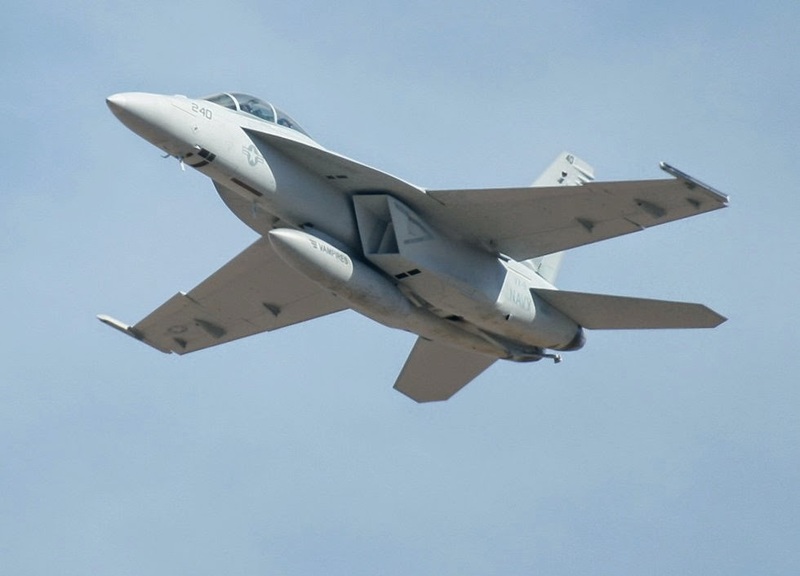 McDonnell Douglas would be responsible for the F/A-18 naval variant, while Northrop would be responsible for the F-18L, a simpler land based variant that found no buyers. Thus Northrop would be edged out of its own fighter design. Most Canadians are familiar with the F/A-18 in the form of the RCAF's CF-188 (the official designation). Much like the Freedom Fighter evolved into the Tiger II, then the Tigershark; the F/A-18 would evolve further still. When the Pentagon cancelled the infamous A-12 Avenger II, along with the NATF, the USN found itself in desperate need of an airframe capable of replacing its aging A-6 Intruder, EA-6 Prowler, and F-14 Tomcat. 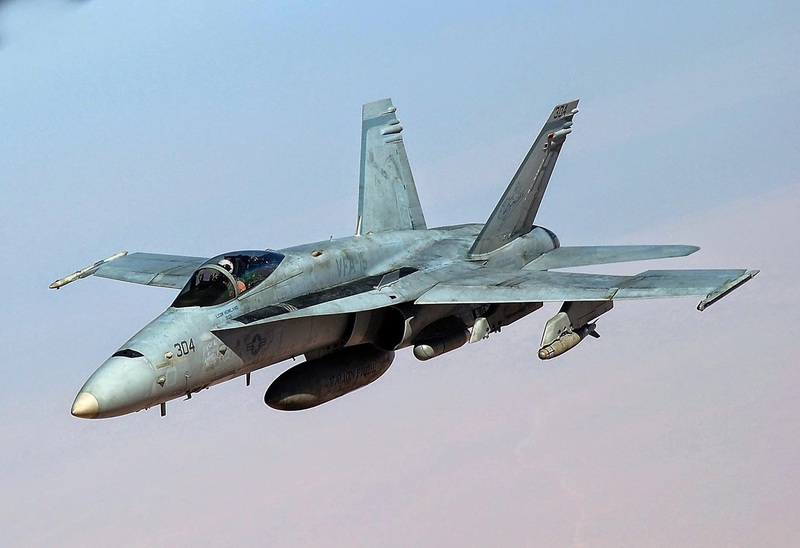 McDonnell Douglas proposed a low risk approach by simply enlarging the existing F/A-18 design. This proved an easy sell given the Pentagon's recent history of risky and expensive projects like the F-22, B-2, and A-12. While the similarities are impossible to ignore, the Super Hornet is mostly an entirely new aircraft compared to the legacy Hornet. It shares very few components with its older sibling. It is also much larger, closer in size to a F-15. 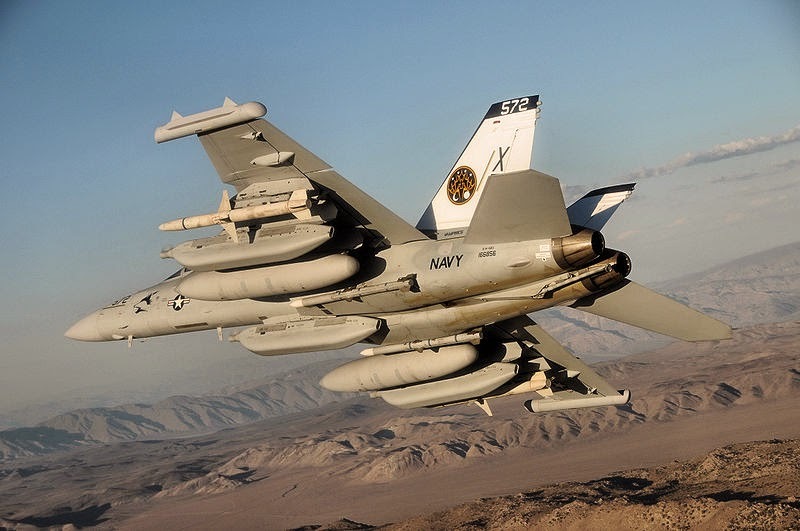 The Super Hornet is also the platform from which an EW platform, the EA-18G Growler is based. To complicate matters further, McDonnell Douglas has since merged with Boeing. Northrop still exists, but has little to do with the Super Hornet. The evolution of the N-102 "Fang" to the modern day Super Hornet and Growler is similar the the "Grandfather's Axe" paradox. Is the Growler the same aircraft as the F-5? Absolutely not... But it sort of is. Good post. Most good design is iterative. Iterate iterate iterate. Compare the Draken, Viggen and Gripen for example. You're focusing a lot on what the plane looks like. The systems in a fighter are specific for war. And even though two planes may look similar, for example a Boeing/Saab trainer that looks reminiscent to a Gripen, it is the system as a whole that makes the plane/platform. I won't go through each sub-system in detail, but think about avionics, serviceability, engine, fuel, pretty much everything needs to be very different. Which is why a warfighter makes a terrible trainer and a trainer makes a terrible warfigher. You may judge design on its looks, but design is not how something looks, it's how something works. True, but trainers like the T-38 (and the T-X to follow) are meant to prepare pilots for high performance aircraft like the F-16, F-18, and F-22. They need to offer similar performance as well as prepare the pilot for more advanced features like a HUD, HOTAS controls, and the like. Of course, trainers see a lot more use and abuse, so they need to be rugged and easily maintained. They also don't need expensive targeting pods and other add-ons, resulting in a much simpler aircraft. Operating costs are one of the biggest factors, as well. This is why a "decontented" Gripen was assumed by many, because the Gripen is already a rugged, easily maintained aircraft with fairly low operating costs. This translates just as well for a trainer as it does a frontline fighter. I see the point you're trying to make but still disagree. Most things in the Gripen frame is unnecessary for a trainer. For example the Gripen is a STOL aircraft. Stronger landing gears and structure than for example a Typhoon (relative to weight). The Gripen is a rugged and easily maintained relative to other war fighters. This impacts all the other systems in the aircraft. They all work together. You don't just take something out. It's not enough to remove targeting systems and call the Gripen a trainer. It's a colossal waste of resource to take an airplane that can withstand over 12G and use it as a trainer. This is what Saab talks about in the article I linked to in the other thread. To be honest it puzzles me how someone with your knowledge of aircraft can't see the this? Why not go ahead and suggest f.e. the F15 as a trainer? It has more in common with the Gripen than the Gripen has with a trainer aircraft. Here's a good trainer aircraft. Instructor sits next to student. Cheap and manoeuvrable. Again, the Gripen's ruggedness and easy maintenance are useful attributes in a trainer. Despite your assertion, the F-15 and the Gripen are in entirely different classes. While performance is close regarding G limits and speed, the F-15 is massive by comparison (over twice the empty weight). You will find that the Gripen is nearly identical in size and weight to the T-38 Talon and F-20 Tigershark. In fact, the F-20 and Gripen both use variations of the same GE F404 engine! The Gripen is far more sophisticated of course, it is a far newer design. This makes it more suitable for preparing pilots to fly more modern fly-by-wire aircraft. Keep in mind that the T-X will prepare pilots to fly aircraft like the F-22 and F-35, high performance aircraft WITHOUT two-seater versions. This would be quite the transition coming from aircraft like the Saab 105 or T-6 Texan II. Can you imagine transitioning from a turboprop-powered T-6 into a supercruising F-22? Boeing and Saab appear to be heading towards an "all-new" design, one that will feature "Gripen DNA". I have my own theories on this, which I will expand on in the future. Doug, I was reading somewhere that the German Air Force had some Typhoons (Tranche 1) as surplus and are willing to sell them. Has Canada thought about purchasing or leasing some to fill in as an filler or to boost the air armada currently supporting the policing of air space around Europe. While 5-6 dual-seat Gripens could be used for training Canadian Pilots back at home so they could rotate in as needed, while they consider other opinions. Especially when they are supporting our Europe and NATO allies. Canada would have some commonality with these allies, and the supply chain of spare parts are readily available. Canada didn't do so bad purchasing the Leopard II's second hand. I believe it would be mutually beneficial to both countries. I am pretty sure that the RCAF have some pilots that were on exchange with the RAF, German Air Force, Spain, or other country that fly's the Typhoon. If that isn't a feasible plan there is South Africa that has the Saab Gripen C/D planes (12-15) in mothballs ( these are relatively new. Maybe we can lease or purchase these planes. Have Saab re-certify them for combat status, or just lease say 10 - 15 Gripen E/F from Saab directly. All of NATO armament will work with either (Typhoon or Gripen E/F) fight jet, and Canada also has the same munitions in their inventory.